Brain Injury Survivor Advocacy. Cara pursues an advocacy-based research agenda that has contributed to the development of noteworthy changes and advocacy initiatives for survivors of brain injury. 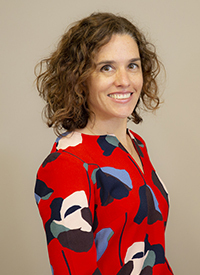 She has served as co-principal investigator, with Dr. Cynthia O’Donoghue (Communication Sciences and Disorders), on studies that investigate barriers to accessing crisis intervention services, with focus on the experience of survivors with neurobehavioral presentations. Publication venues include Brain Injury, Journal of Head Trauma Rehabilitation, and NeuroRehabilitation.. Cara currently serves as one of Commissioner Rothrock’s appointees to the Virginia Brain Injury Council and chairs the Science Advisory Committee for Brain Injury Connections of the Shenandoah Valley. Research Methodology. Keenly interested in the philosophy of science, Cara has partnered with Graduate Psychology colleague Dr. John Hathcoat on pieces (e.g., Journal of Mixed Methods Research) that advance understanding of ontology and epistemology in qualitative and mixed methods research. Higher Education (Pedagogy and Change). Cara has presented and authored on topics related to pedagogy, leadership development, service-learning, and organizational change. Contributions include a study on faculty learning outcomes (Journal of Faculty Development), a co-authored chapter, Powerful Pedagogies, a mixed methods study on the experience of part-time faculty (College Teaching), and the newly released Reconceptualizing Faculty Development in Service-Learning/Community Engagement.